Dr. Shawon Gullette, ND-I.A.T is a Certified Trichologist with years of experience is finding and resolving patient's struggles with hair loss. 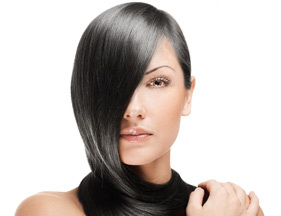 Trichology is the specialized science of the structure, function and disorders of the human hair and scalp. Currently, over 50 million men and 30 million women suffer from hair loss. There are various reasons why people experience hair loss. Each case is different and may call for different treatment but in the end everyone wants the same thing – hair restoration. Dr. Shawon Gullette is a Certified IAT Trichologist with years of experience in the diagnosis and treatment of Hair Loss and Hair Restoration. Dr. Shawon gives customized treatment recommendations to both men and women. She also specializes in child hair loss issues. You don’t have to live with hair loss anymore! If you are interested in a healthy, thick, full head of hair get a Hair Loss Consultation with Dr. Shawon Gullette today. Certified Trichologist, Dr. Shawon Brown-Gullette has been featured in numerous articles for her work in helping men and women in the Dayton area with their hair loss concerns. We provide advanced laser hair loss treatment plans, laser hair therapy and laser hair regrowth therapy for men and women suffering from hair loss.